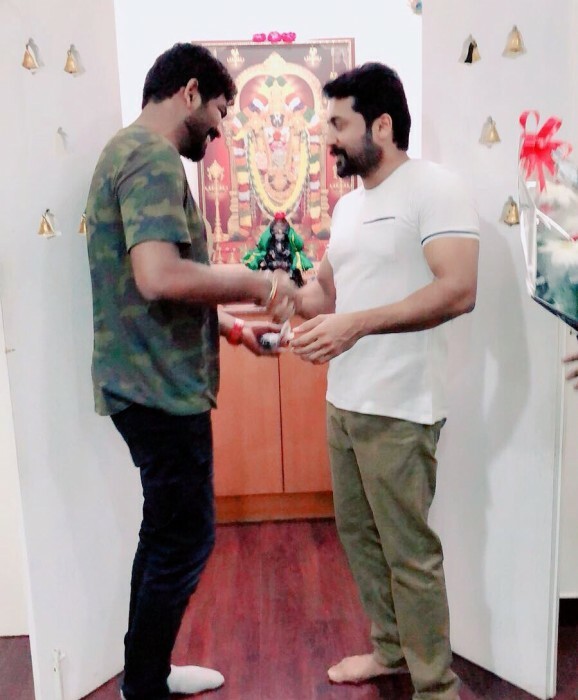 Suriya gifted a car to Vignesh Shivn and gave him reason to rejoice. There can be no denying that Suriya is one of the most successful and popular stars in Tamil cinema today. During his eventful career, he has won the love of fans thanks to his effective performances, macho looks and simple personality. Moreover, he is regarded as an inspiration by fans thanks to his perfect personal life. Now, he is in the limelight for an awesome reason. As it so happens, the star recently gifted a car to young director Vignesh Shivn and gave strong proof of his humble nature. As expected, VS was quite touched by this kind gesture and thanked him profusely. Not sure if I deserve this much love frm u sir! “It takes a big heart to encourage a beginner like me😢Not sure if I deserve this much love frm u sir! ThankU for the opportunity & this moment,” he added. This is quite a nice gesture and proves that Suriya is one generous person. In case you did not know, Suriya and Vignesh Shivn had collaborated for Thaanaa Serndha Koottam which hit screens on Pongal and turned out to be a hit. It was a light-hearted crime-thriller and also had Keerthy Suresh in the lead. Loosely based on Special 26, it received rave reviews upon release and turned out to e a treat for Suriya’s fans. While talking about it, Suriya had said that it helped him add a new dimension to his career. At present, Suriya has Selvaraghavan’s NGK in his kitty. In it, he will be seen alongside Rakul and Sai Pallavi.